Madeon's Adventure Machine We turned Madeon’s debut album into a live mashup concept that allowed fans to mix their way through a series of perfectly timed loops and compositions from the album on any device. We were asked to help promote the debut studio album, Adventure, by French electronic music producer Madeon. 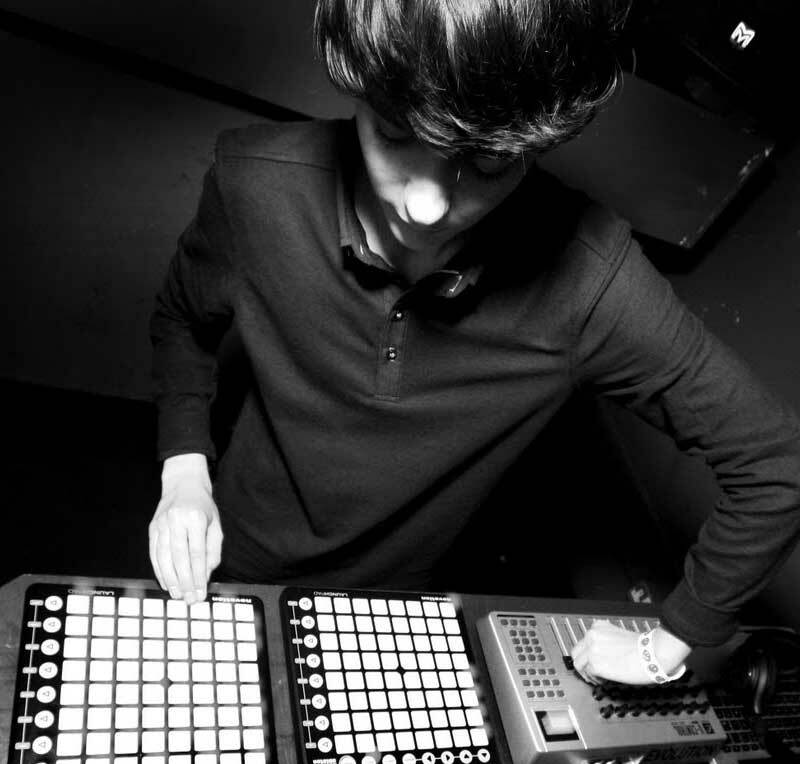 After being thrown into the spotlight 4 years ago from his 39 songs in 3 minute mash-up, Pop Culture, Madeon has built a large and passionate fan base, many of which dabble in music production and mixing or own various pieces of DJ equipment such as a Novation Launchpad, as used by Madeon himself. The challenge was to create buzz around the upcoming launch of his debut album and to give his music and tech focussed fans a sneak peek of what was to come in an engaging way as well as introducing Madeon to a whole new fanbase. We decided to turn Madeon’s whole debut album, Adventure, into a live mashup concept that allowed fans to mix their way through the upcoming album on any device. We called it ‘The Adventure Machine’. Using the new HTML5 WebAudio APIs, users can mix with a series of perfectly timed loops and compositions, allowing them to explore, play and share Madeon’s upcoming album in an audio centric and playful way wherever and whenever they want. As an added bonus, using the brand spanking new experimental WebMIDI API on Chrome and the JazzSoft MIDI plugin for other browsers, we also made it possible for fans to control the website and mix the album samples via a Novation Launchpad. Lots of people connected their launchpads and used it with the app. "Now you yourself can get behind the controls and make your own Madeon music, using stems that appear on the album." "There may be many fans of dance music, but not all possess the technological know-how when it actually comes to producing it. Thankfully, Madeon’s made it so we’re able to at least fake it like we made it with his new Adventure Machine." "Containing drum, bass, vocal, synth and other samples from Madeon productions, this simple loop triggering platform is surprisingly addictive"
"Madeon’s Adventure Machine makes a marvellous racket online"